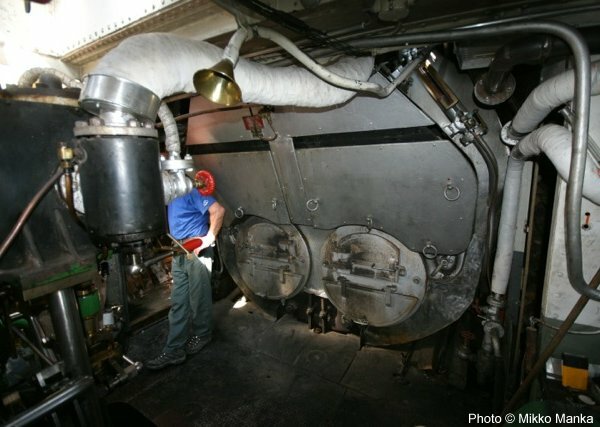 Scotch marine boiler with two wood fired furnaces. 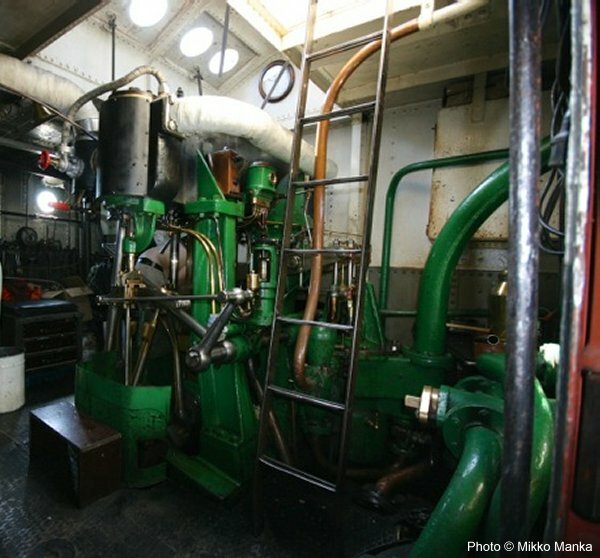 The Scotch boiler and the steam engine's trottel-valve aboard Steamship Näsijärvi II. 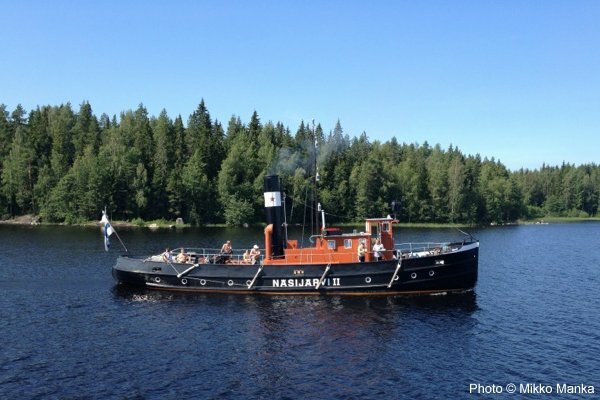 Perhaps one of the most important events in the long process of refurbishment of the steamship Näsijärvi II happened in 2005 when the oil burner where removed from the boiler, and the furnaces where adjusted for wood firing and there was no further need for a diesel generator to support the oil burners. The Compund engine and its Stephenson's link-motion for the high pressure cylinder.